Why centrifugal pumps ? : The centrifugal pump has for many years been the most suitable pump onboard chemical tankers where a high pumping capacity is the most important factor. The size and cost of such a pump does not increase in proportion with the throughput, as it is not a positive displacement pump. It requires either the provision of ancillary self-priming equipment for the removal of air in the system or a separate stripping system. During operations consideration must be given to the prevailing suction and discharge conditions in relation to the pumps performance characteristics. This is particularly important when operating cargo pumps where the rated capacity is achieved at a relatively high total head. Operation of these pumps with a low total head can grossly exceed the pumps rated capacity and cause excessive liquid velocities in piping systems. They can be used to regulate pumping rates in variable and constant speed pumps and also to prevent overloading in constant speed pumps. They can be used in conjunction with self priming systems to provide a self priming capability in centrifugal pumps. They can be used to reduce the throughput of a pump, and so reduce the Nett Positive Suction Head required. By restricting the pump throughput, the head is artificially raised to a level above the normal discharge system resistance at that particular throughput. Throughput is reduced to a level equal to, or below, the natural flow of liquid to the pump so that cavitation does not occur, i.e. the flow of liquid to the tank suction strum is closely matched to the pump throughput. The performance of a centrifugal pump declines if gas is entrained in the liquid being pumped. Manual matching of pump input and output is difficult, and without external aid suction cannot be regained once the strum has been uncovered and air allowed to enter the suction piping. 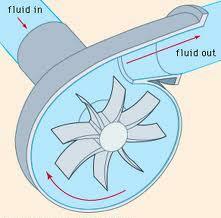 It is for this reason that separate positive displacement pump stripping systems are usually installed. Discharge commences, pump and separator fill with oil. Vacuum pump and valve in gas extraction line are shut-off by float switch in pump separator. Discharge valve is fully open, the control system reacting to separator level. Tank level falls to point where separator level begins to fall causing the vacuum pump to start to extract the gases filling the top of the separator preventing cavitation. The extracted gases are vented to a slop tank. As the separator level falls, the control system partly closes the discharge valve on the pump to reduce the output of the pump. In this way the discharge and stripping operation can continue, the discharge valve being progressively closed, as the vacuum pumps have to work harder to keep the separator full. A pump is said to cavitate when the pressure at the pump suction has fallen to such an extent that bubbles of vapour are formed in the fluid being pumped. Erosion of metallic surfaces which, if severe, may create flow disturbances. Vibration, which may damage the pump or, more commonly, the instrumentation connected with the pump and installation. Centrifugal pumps must not be allowed to cavitate. The Duty Engineer must be given adequate notice of starting or stopping cargo pumps. The pumproom is to be checked as soon as possible after any pump unit is started. The pump casing is to be vented of air or gas and primed full of liquid before starting the pump. Starting of steam driven centrifugal pumps is to be done in accordance with the manufacturers instructions, and to be closely monitored by the Duty Engineer. Centrifugal pumps are not be run above minimum speed until the Duty Engineer is satisfied with the operating condition of the drive unit. Steam driven centrifugal pumps must be started against a closed discharge valve. Once the pump is turning the valve should be opened gradually as the pump is brought slowly up to the desired operating speed. Electrically driven centrifugal pumps which run at constant speed, are to be started against a closed discharge valve. Once the pump is running the discharge valve is to be opened until the desired discharge pressure is achieved. The stopping of steam driven centrifugal pumps must be carried out by the Duty Engineer, however, routine stopping may be carried out using remote controls providing prior notice has been given to the Duty Engineer. The stopping of electrically driven pumps may be carried out from the Cargo Control Room. Before stopping the pump the load on the pump is to be reduced by closing in on the discharge valve. The Duty Engineer must always be advised of when such a pump is being stopped to allow him to monitor the generating plant as the electrical load changes. The emergency stopping of cargo pumps must be carried out by whatever controls are most accessible. All personnel involved in the cargo operations must be aware of the location of cargo pump emergency trips/stops.